I mostly agree with you, except the Cossotto bit, I love her and very artistic, but hey we can't love all the same voice. in the 2013 MET radio broadcast (mp3 sound quality) with Pretty Yende Diego Florez and Karine Dehayes. After hearing Pretty Yende live in Berlioz Benvenuto Cellini, I was curious to hear her in other roles. So far, my initial impressions on her outstanding vocal capacities are confirmed. In 2013, her french diction was already pretty good. I cant say that I am a fan of Diego Florez, but he does the job. Karine Dehayes is one fine mezzo. Rome, November 1970. Everybody is in very good form here. 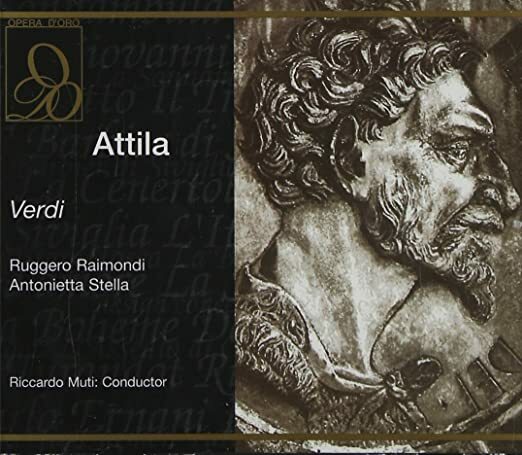 Raimondi’s stentorian Attila may be a bit unsubtle, but isn’t that in character ? Working through some of my Wagner recordings, and realise that most of the reason I don't listen to them that often is the sheer time commitment required. I rarely have time to sit through a whole opera, and listening is spread out over several days. Karajan's Tristan und Isolde, like his Ring, divides opinion. Aside from a few odd recording balances, I've always liked it. 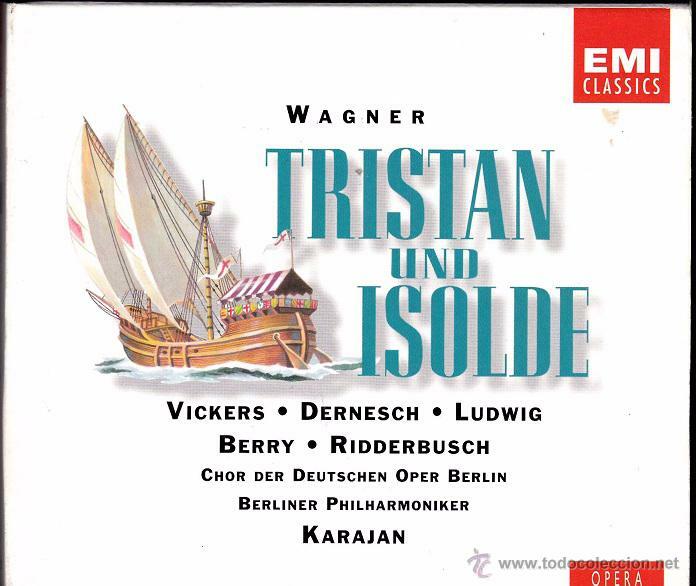 Vickers is an almost unbearably intense Tristan, and Dernesch a warm, feminine Isolde, and there is excellent support from Ludwig, Berry and Ridderbusch. 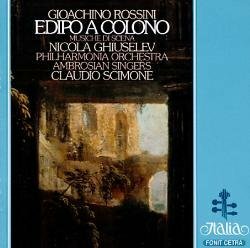 I haven't heard it for ages, but am really enjoying Act I right now. I think the Tristan is terrific, it and the Furtwangler were the ones I grew up with. Many added subsequently, but my love of the Karajan is much more than nostalgia. As so often we are in accord on the singers. That’s one recording of Tristan I’ve never got round to acquiring. It has been criticized for its artificial (or over-engineered) swings in dynamics, notably in Spain by a sort of Wagnerian “guru”, the late Ángel Fernando Mayo, who was inflexible in his critique of anything departing from the 1950s Bayreuth “style” (embodied for him in the figure of Hans Knappertsbusch ). But, since usually I tend to admire what Mayo dishes , this late Karajan Tristan is alluring to me (not least for Helga Dernesch as Isolde). I do own the live HvK recording from the 1952 Bayreuth Festival with Mödl and Vinay, and it’s superb. Dernesch seems to divide opinion too. To me she sounds radiant, warm, womanly and feminine, but to others she sounds over-parted and strained. Famously, she retired from the scene for some time and returned as a mezzo, and many say they can hear the strain soprano roles put on her instrument, but I honestly think they are being wise after the event. Whether it be as Elisabeth in Tannhäuser, Leonore in Fidelio, Brünnhilde or Isolde, she sounds absolutely radiant to me, and I actually prefer her voice to Nilsson's, for all the latter's steel-like security. That said, I would agree that there are some weird recording balances in the Tristan und Isolde, and it does sound as if someone (either Karajan or the recording producer) indulged in a bit of knob twiddling from time to time. At least the singers are never drowned out as they are in his EMI Don Carlo, also made with the Berlin Phil. I also have the earlier Karajan live performance, it is terrific. The sound quality on the EMI is occasionally odd. It sounds like a veil is drawn across the speakers to provide soft focus and sink the voices into the instrumental picture. I would prefer if the engineering had not been done in this way, but it certainly does not persuade me to forgo what is otherwise a compelling performance. Ludwig is also excellent and the two women occasionally sound similar to one another in Act 1. 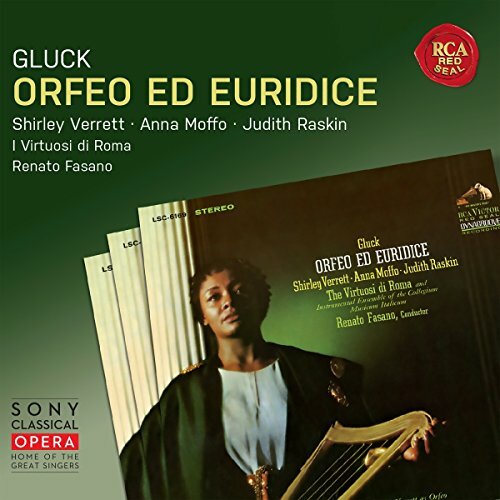 I like Dernesch a great deal, I think I have all her major recordings including Klemperer’s Act 1 of Walkure, more than a curosity, but not vital: mainly doe to tempi. I think the worst results achieved through overenthusiastic fiddling with the sound conrols can be heard in Karajan’s second EMI Trovatore. A superb performance marred by the most bizarre orchestral balances this side of planet Mars. 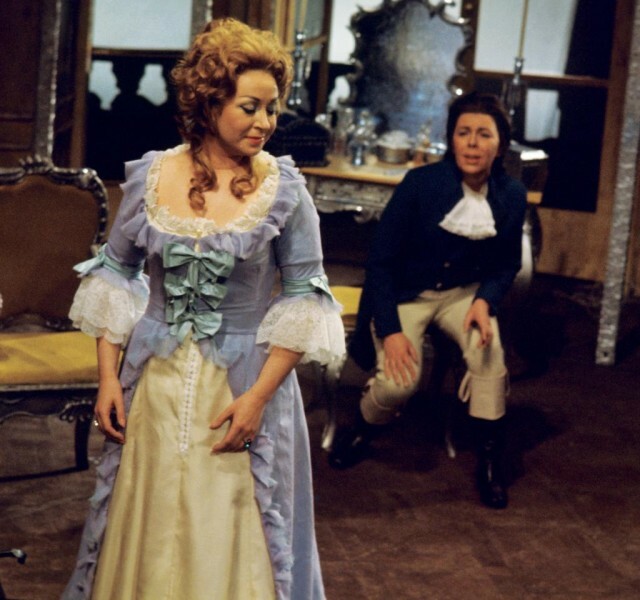 I heard her twice live; as a superb Leonore and as an incomparable Marschallin in Der Rosenkavalier, a role which she learned in English when she first sang it with Scottish Opera. By the time I saw the production, they had reverted to German, and I have a disc of excerpts, which were recorded around that time. I also have a recording of that first Scottish Opera production in English, with Janet Baker as Octavian and Elizabeth Harwood as Sophie. I remember her entrance into the Canon in Fidelio was like a shaft of sunlight piercing the gloom, and her Marschallin remains the best, most moving and aristocratic of any I've seen in the theatre. We saw the same productions, I also saw her in Tristan around the time the Karajan discs were released. Also as Ariadne to Baker’s Composer. At the moment Scottish Opera is engaging an Ariadne who should not be appearing on a stage anywhere.....changed days unfortunately. At the moment Scottish Opera is engaging an Ariadne who should not be appearing on a stage anywhere.....changed days unfortunately. Dare we ask who? Standards do seem to be slipping across the board. It's probably wrong to continually hark back to singers of the past, but it's difficult not to when, even amongst those of today's singers who are technically accomplished, I rarely hear real magic. Maybe it was always so, and we just remember the shining exceptions. I just feel there were more of them around once upon a time. The singer was Mardi Byers. I have just read a favourable review of her while I was finding her name. But I thought she was very poor and Es Gibt ein Reich was so dismal that it went by unnoticed as an aria by the audience. They had been enthusiastic about other set pieces. Right now I am listening to Flagstad in a Bohm extract of Tristan. She was three years off retirement from the stage and sounds terrific, rock steady and a stream of beautiful tone. Mind you Bohm seems asleep at the helm, we are wading through it somehow. She sang the part over 180 times, so different from how singers manage their careers now. I finished listening to the Karajan Tristan today, end emerged newly impressed by Karajan and his team. The last act is almost unbearably intense, and Karajan's dramatic pacing, his sense of the ebb and flow are superb. The other recording I have is the Goodall, which I listened to a couple of weeks ago, and I found the Karajan much more involving. 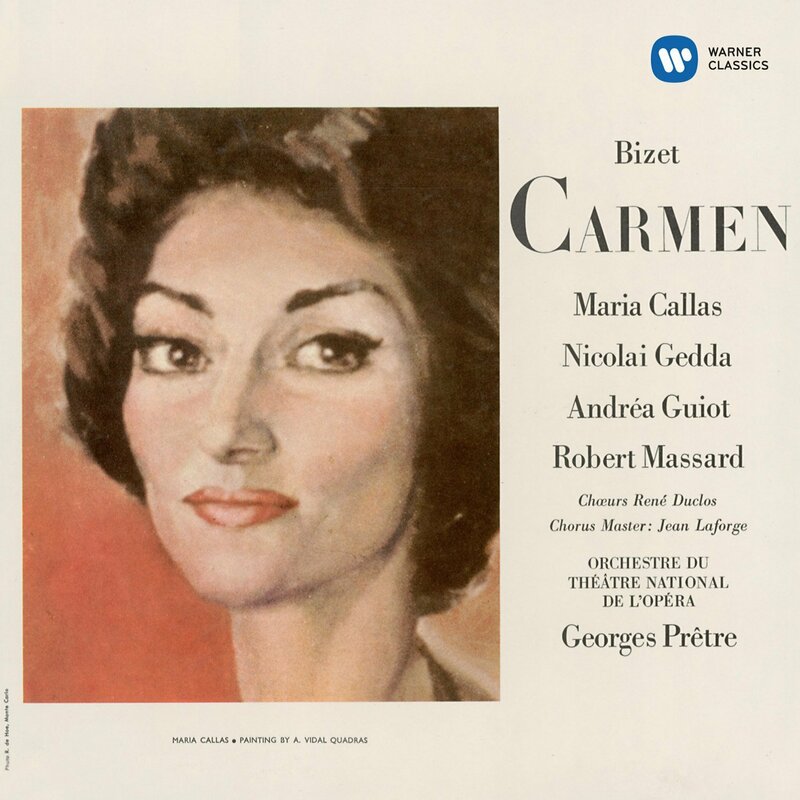 Callas's unconventional Carmen is endlessly fascinating. I hear something different every time I listen to it. I have quite a few versions including Goodall. It has some very worthwhile points, including Linda Esther Grey, but it is a bit too slow.